BELOIT, Wis. — (December 13, 2016) PlayMonster LLC announced today it has acquired the worldwide license for Wonder Crew®, the headline-making toy line designed to empower boys to connect, nurture and build empathy through friendship, imagination and adventure. Wonder Crew is turning the table on the conversation about gender stereotypes and toys, which has largely been focused on presenting more options for girls to play. 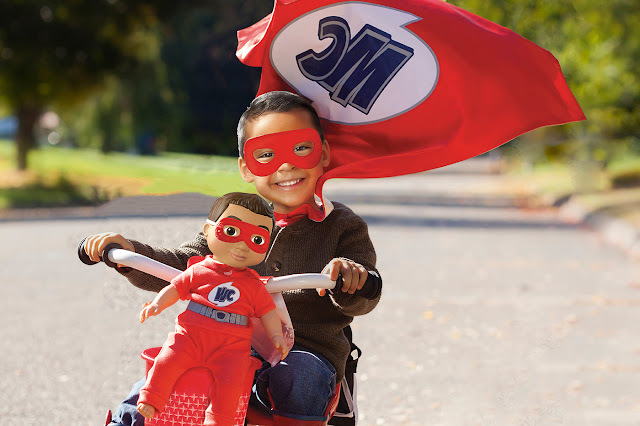 Combining the adventure of an action figure with the emotional connection of a stuffed animal, the 15" Wonder Crew buddies have coordinated role play accessories for their kid owners. Laurel Wider, a psychotherapist and mom, created Wonder Crew after her son came home from preschool one day and announced that “boys aren’t supposed to cry.” Frustrated by many of the messages boys were (and weren't) receiving and inspired by the way play influences child development, Wider created Wonder Crew to encourage kids to connect emotionally and be their full selves. Launched on Kickstarter in March 2015, Wonder Crew quickly drew praise from parents and media alike, and earned Wider an invitation from the White House to speak during a conference on breaking stereotypes in media and toys.